[USA 1972] is a sound artist with a background in radio, webstreaming and environmental recording. His work focuses on the often unpredictable details to be found in field recordings and self-built analog electronic sound synthesizers, as well as strategies for collaborations and free and open source software such as Pure Data. He has released tracks under the Nexsound, Mandorla, Sirr, and/OAR and Gruenrekorder labels, and has co-initiated several internet projects for field recording and collaborative soundscapes including Soundtransit.nl. 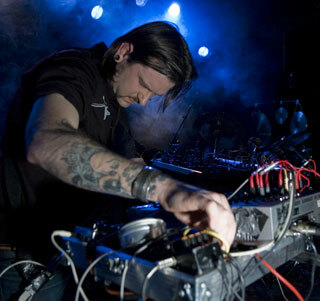 Holzer has performed live, improvised electronic music in many venues and festivals in Europe, the US and Brasil. Derek Holzer was supported during 2005-7 by FondsvoorBeeldendeKunstenVormgevingenBouwkunst (Fonds BKVB) of The Netherlands.